Digital Nomads, symbols of freedom! They travel the world, work wherever they want and discover country after country. The most beautiful places on Earth are their destinations! So why would they come to Tenerife? 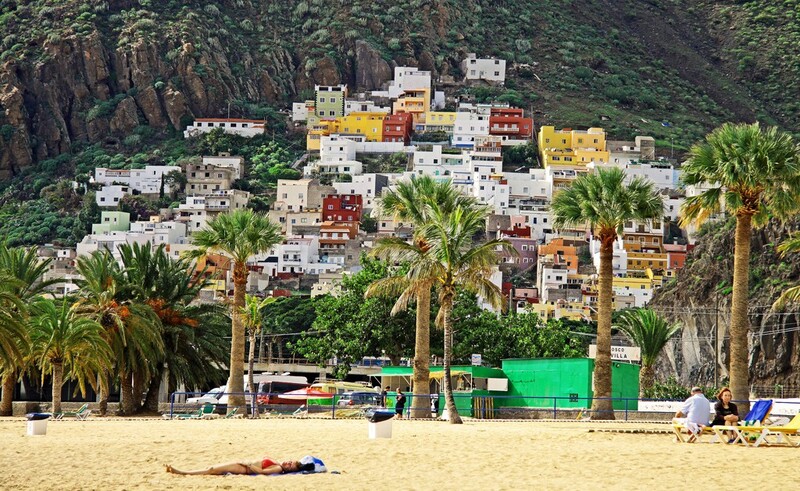 Why should the hidden Canary Islands be interesting for Digital Nomads? In the following article I’ll present you 22 reasons why it’s absolutely worthwhile to come to the biggest island of the Canaries as a Digital Nomad! 1. Come fly with/to us! Are you looking for cheap flights and good connections heading all over the world? Perfect! Tenerife’s airport takes you wherever you want to go. Not only is flying to mainland Spain very cheap but you can go almost anywhere you want. Africa isn’t far away, so getting to Morocco, for example, is not time-consuming or expensive at all. 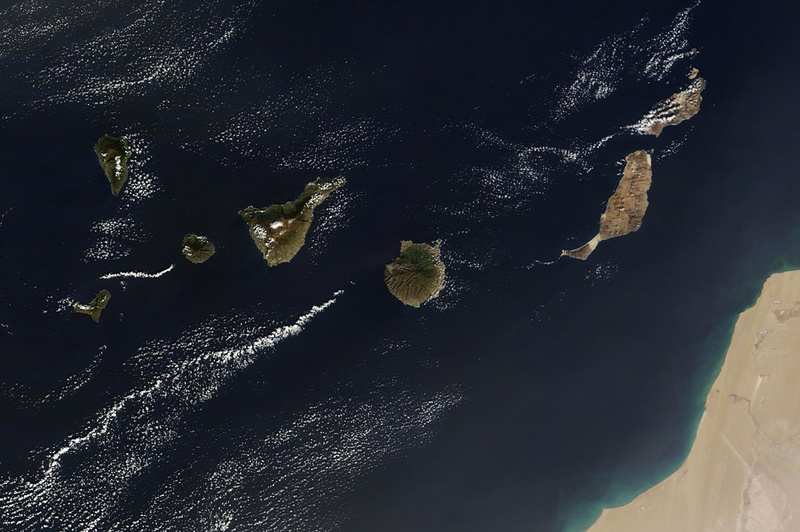 The other Canary Islands, of course, are also easy to reach by airplane. You won’t just have the option of driving over by ferry. In conclusion, the aircraft connection towards and away from the biggest Canary Island is perfect for people who are looking for cheap flights to nearly everywhere in the world. Tenerife is known as the “Island of Eternal Spring”. Politically it belongs to Spain but it’s situated in Africa near Morocco. Because of this location, in winter it never gets colder than 13 °C (55.4 °F) and in summer it usually won’t get hotter than 28 °C (82.4 °F). 320 sunny days in the year are guaranteed! Tenerife is divided into two bigger climate zones. On the one hand there is a wet and slightly cloudy mediterranean climate in the north. The south you’ll find dry, warm and arid (because of the influence of the Sahara desert). If it’s too cold in the green north of the island, it takes about an hour to get to the sunny south. 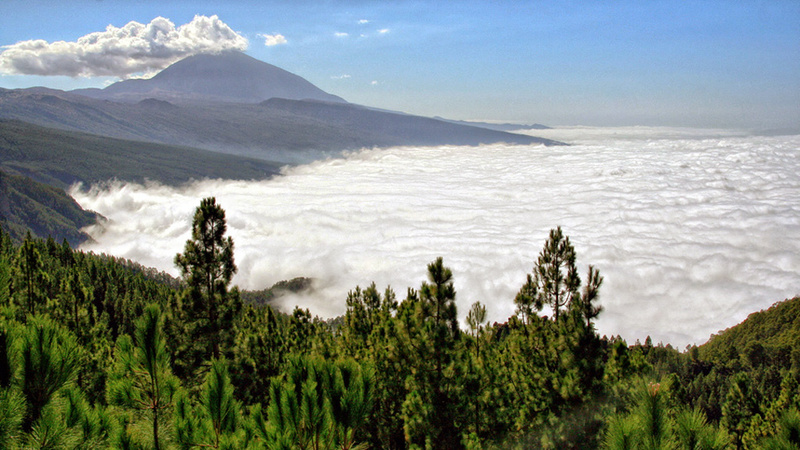 You even have the chance to get above the clouds by driving up towards the Teide! Don’t trust weather forecasts! Because of the two climate zones on the island you shouldn’t trust any forecasts that seem to be too general or that predict beyond one day. These climate zones are split in many more small micro-climate zones that can all have different weather at the same time as a result of the different landscapes, from coasts to hills to mountains. If it rains in Tenerife, it usually doesn’t last too long and is not very much (compared to other European countries like Great Britain). The sea temperatures vary a little bit between winter and summer but they are generally pretty constant. The average is around 21 °C (69.8 °F) during the year. In Tenerife you’ll find an internet connection almost everywhere. Most cafés have WiFi, the hotel lobbies are well-equipped and if you want to have your very own table to work, there are also co-working spaces on the island. It’s easy to work without problems. You can travel all around the island without having to worry about not having an internet connection later on. Even some beaches have WiFi, making it possible to tan at the beach while working! There is a 4G connection for your mobile phone in Puerto de la Cruz. Even on the Teide volcano you will have 3G! If you prefer to stay for some months at your own apartment that isn’t equipped with WiFi, you can get yourself an internet router for around 30€ / 20 mbps per month. Look for providers like AirFibre with month-to-month contracts so you don’t have to sign for at least a year. 4. No Spanish Knowledge so far? No Problem! The main tourist groups in Tenerife are English and German. Therefore it is no problem to communicate only in English. The island is characterized and influenced very much by the big tourist groups who visit Tenerife regularly. And it gets even more international. With the increase of co-working spaces and tourists choosing Tenerife as their destination it is ultimately an English-speaking island. The best part of it all is that the culture doesn’t suffer from it! After all the celebrations, Guachinches and the positive atmosphere are the main reasons for travelers to come to the island. So at first there is no essential need to speak Spanish but if you want to learn it there, book your classes! In the FU International Academy you can combine working at your coworking space with learning Spanish from native speaking teachers! You’ll find more information about that in the point “7. Co-Working in the Sun”! 5. If You Don’t Know What to Do, Do an Excursion! For those who don’t want to spend much time planning a whole tour on the island: just book an excursion! Simple as that. All you have to do is to check out the prices and conditions and you can easily book a tour for almost anything. There are excursions for hikes, boat trips (dolphin and whale watching), mountain bike rides, camel rides, quad tours or theme parks. Of course you can plan your stay on the island on your own but if you don’t have the time to do that or just want to visit Tenerife without any stress, let others do the organizing. Hiking, parties, adventure tours, parks! You will find something you will love, for sure! Combine some of the excursions and you’ll get to discover the whole island even faster and more comfortably. Because of a special law in the Canaries the taxes for consumption of goods are very low, which makes it pretty cheap to live in Tenerife. Compared to European standards the accommodation is affordable as well. Actually, nothing is very expensive on the island! Renting a car costs you around 50€ for three days. Within three days you can discover many nice places on the island. The fuel prices are also not comparable to most European countries – it’s only about an euro per litre. I mean, how cheap is that?! If you’re a fan of traditional Canarian food or want to become one, visit some of the innumerable Guachinches! They have delicious food and are very affordable. Try the papas con mojo, calamares or the chorizo (Spanish paprika sausage). Because of the central position of Tenerife you have a good home base from which you can get easily to the other Canarian Islands by ferry for some euros. 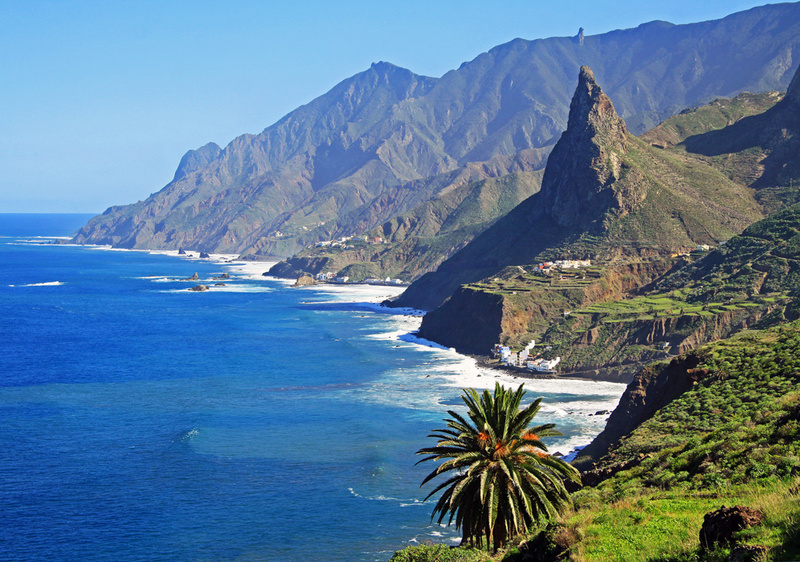 Discover the diversity of the Canaries with your starting point in Tenerife. Flights to mainland Spain aren’t expensive as well, so you even have the option to go there, too. Anything you want to do, doesn’t matter if it’s sports, hiking or going to parties, you’ll never be disappointed by the prices. 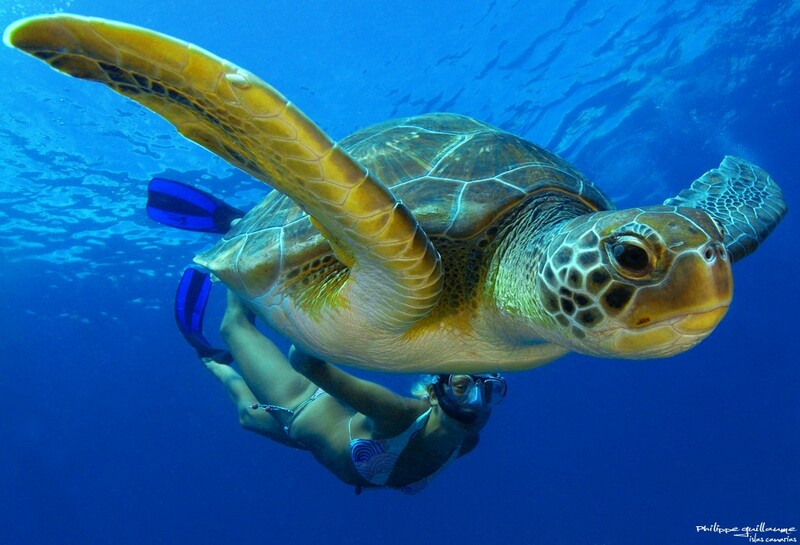 The range of activities in Tenerife is huge so don’t be lazy! Just check out the best places and activities without worrying about high costs. If you are looking for a co-working space in the Canary Islands, you won’t be disappointed. Visit us in Puerto de la Cruz in the FU International Academy Office! Our newly built co-working office is waiting for you. New equipment, a good internet connection (40 mbps), meeting rooms and a soundproof recording room with a Mac Mini, a camera and a microphone are all free to use! For photo or video production you can use the light emitters which are perfect for that use. In addition to that we will support you in any way with our competent Online Marketing Team! We are here to answer all your questions and we will help you as much as we can if you have problems. The team consists of SEO Specialists, Web Designers, Texters, a Project Manager and every one of them has a creative mind to help you out! And they are all passionate about what they do! Join our small “FU Family”, get to know new people and make a lot of friends! Besides that you can build some interesting business relationships or just exchange some creative thoughts about website ideas, etc. with other co-workers or students. And after work… take a break in paradise! 8. Great Destinations Need Great Food! The Canarian cuisine is diverse and varies from fresh seafood with original homemade Mojo rojo or Mojo verde to different kinds of paprika sausage (chorizo – sometimes even served on fire). Of course you’ll find the typical tourist Italian and Asian restaurants, but if you’re more interested in traditional Canarian food, visit an original Guachinche! Guachinches are traditional Canarian restaurants, often located in private houses. The main Guachinche area is in the north of Tenerife. You’ll find many of them there! The menu consists of just a few dishes and homemade wine, which is very good. You will always get a huge dish of freshly made, delicious food. Another great aspect about the Guachinches: they are very cheap! For less than 10€ (usually) you get calamares, papas con Mojo, chorizos, fish and whatever the single traditional “restaurants” offer – and you’ll be stuffed! If you are not sure where to find the Guachinches because they are not in the middle of every city, check out the GuachApp, an App for your mobile phone that shows you every Guachinche in Tenerife with ratings and their specialities listed. Do you always think about what to do in your free time at the places you visit? Of course you do! If you are an athletic person, Tenerife offers plenty of activities that are very fun. It doesn’t matter if you prefer water or land sports! In Tenerife you’ll get the full athletic package. 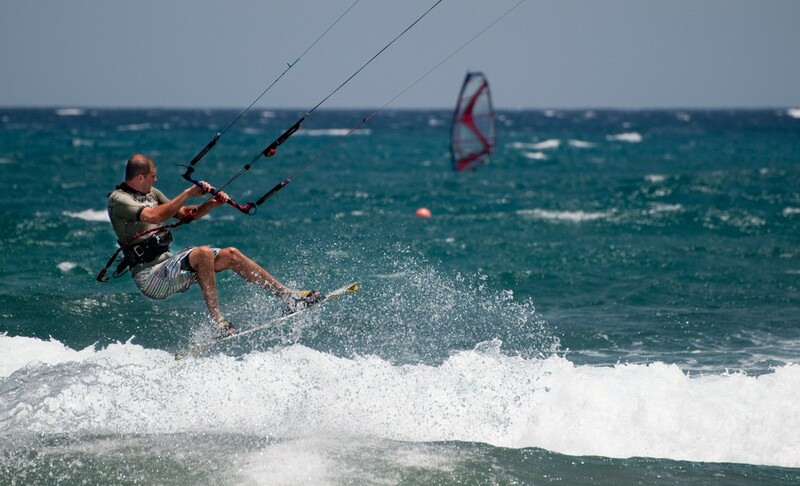 For example, you can practice kite surfing, water skiing and snorkeling all year long! 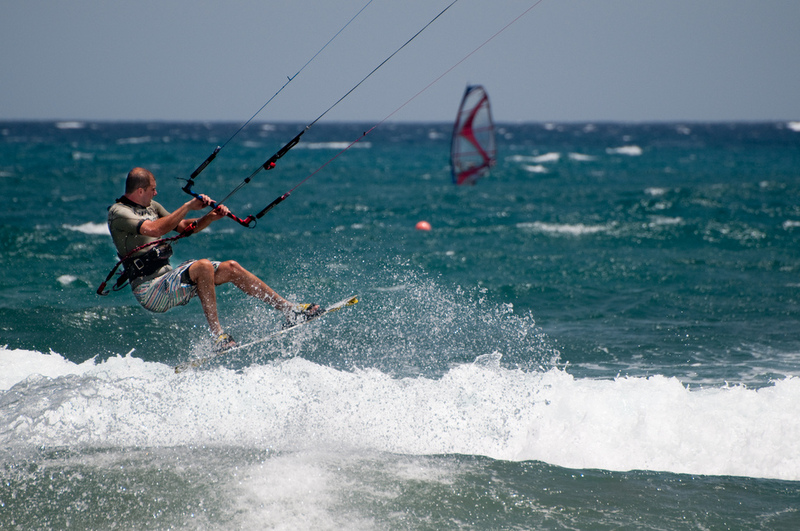 El Médano especially is a paradise for Kite- and Windsurfers because of the perfect wind conditions! Every year the World Championship in Windsurfing of the PWA (Professional Windsurfers Association) takes places in El Médano (https://www.pwaworldtour.com). Would you like to ride on the biggest artificial wave of the world with your surfboard? 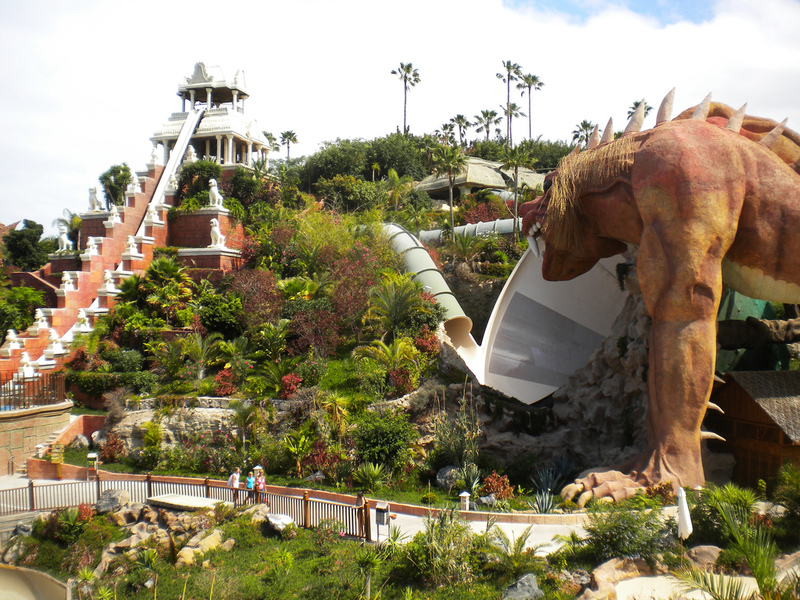 Come to the world’s best waterpark – the Siam Park in the south of Tenerife! There you’ll find a huge pool that makes waves up to 3 metres high. As a surf fan you shouldn’t miss that! 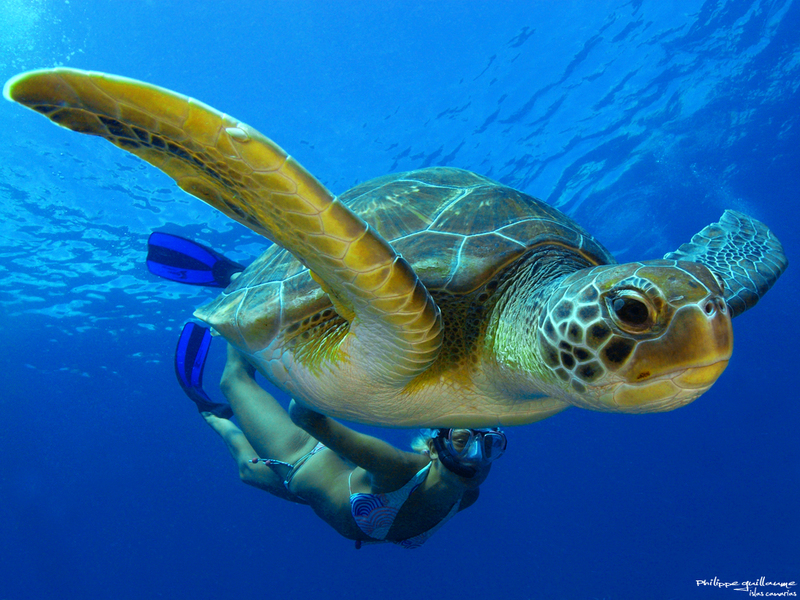 Or do you prefer to dive with dolphins and turtles? Not a problem when you are in Tenerife! All these water sports are just examples of your options in Tenerife. There are many other activities in the sea like parascending and jet ski tours that are affordable and definitely worthwhile. For example, it’s only around 65€ for an hour on the Jet Ski Safari, where you’ll discover Tenerife’s beautiful landscapes from the water! If you prefer staying dry while you do sports, you won’t be disappointed. You can go on an adventurous off-road mountain bike tour or experience the beauty of Tenerife from above while paragliding. There are also some great climbing spots on the island, waiting for you to explore them. You will find even some great golf courses and perfect spots to go fishing. The biggest Canary Island offers picturesque landscapes and areas for every kind of sport you want to do! From the wonderful green north to the sunny south, by water and high up in the air, you’ll find your favourite places to do your sport – that’s a promise. 10. Carnival Tenerife – Going Crazy at its Finest! Carnival in Tenerife is a synonym for: craziness, happiness, creativity, costumes and a huge get-together! It’s the second biggest carnival in the world after Rio de Janeiro. If you ever go there you will know how amazing it is! Santa Cruz represents the centre of carnival. It seems like people from all over the Canary Islands meet there, and everybody is dressed up. Everyone goes crazy at the carnival! You HAVE to be dressed up! Celebrate like you’ve never done before!! Everybody waits the whole year and works on their costumes just for the carnival. With its parade wagons, decorations and, of course, the costumes, it’s definitely the most colorful and happiest time on the island. Some extra events like the parades or the high heel race of the men dressed up as women are essential for the carnival. At the end a big sardine is burnt down and men dressed as widows cry because the celebration is over. After that there are about two more big party nights until it’s finally really finished. Tenerife’s nature is known for its variety. There is a huge number of great hiking paths to discover the diverse beauty of the island. In the north there are flowers of all kinds of colors and it is a paradise for fans of beautiful nature! All the mountains and valleys are absolutely worth the experience. Through the forest paths or along the coast you can enjoy your surrounding. The huge Teide volcano with its 3,718 m (12,198 ft) can be seen from almost anywhere on the island. The south is sunnier for those people who want to stay at the beach all the time. There you won’t find many forests and hiking paths but more touristic attractions and activities like surfing at the big Playa Las Américas or El Médano. In Tenerife the animal variety is not too big except for birds. There are many different tropical species of birds on the island – more than 150 species! 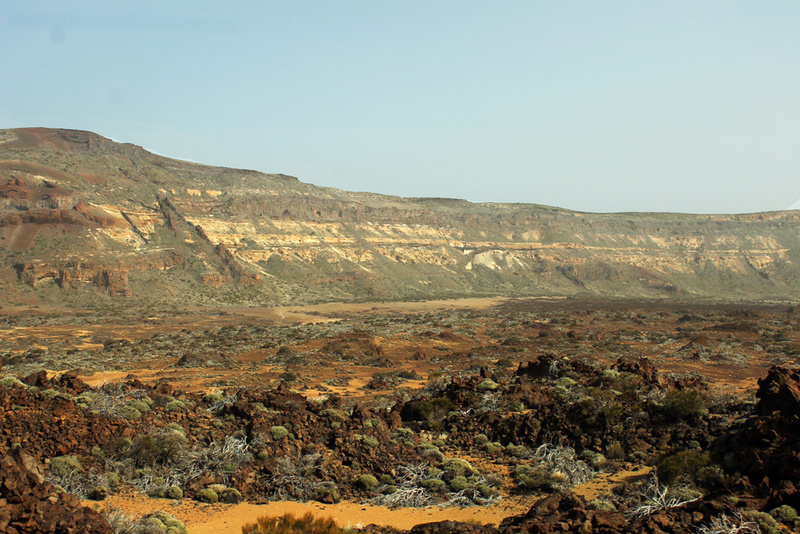 You’ll find more information about the nature of Tenerife in the following points. When you think of Tenerife you should instantly think of the gigantic Teide which represents the origin of the whole island. At 3,718 m (12,200 ft) it is the highest mountain in Spain and the third highest island volcano in the world. Wouldn’t it be nice to sit in a café, drinking some coffee and working with the biggest mountain in Spain in the background? The best aspect of it all is that it’s possible to get to the very top of it! You can go for a hike from 2,200 m (7,200 ft) with a stop for the night at an accommodation (Altavista) made especially for hikers at 3,200 m (10,500 ft). You have to book a place there – the cost per night is 25€. The other option is to get up to 3,500 m (12,000 ft) with the Teleférico – a funicular. A ride costs you 26€ ( non-resident adults) for going up and down again. The last 200 m (650 ft) you can go up on your own. But that is only possible with a free license you have to apply for, so first get your permission to be allowed to get to the top! If you have ever been on the Teide – looking down on the clouds lit by the sun, surrounded by the volcanic landscape – you will know that there’s no feeling of freedom like that! In winter there is snow and ice on the volcano when you go above a certain height. Don’t forget to check the weather conditions before planning a hiking trip to the top! 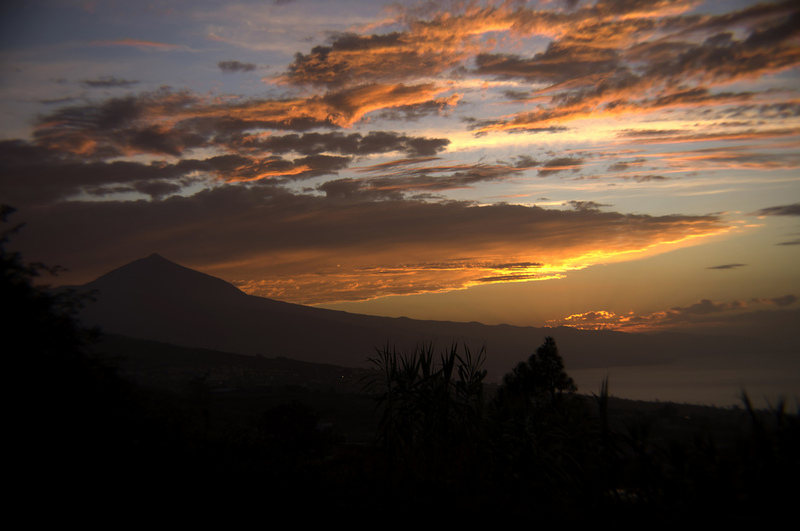 The Teide is so big that it can be seen from some neighbouring islands, like La Gomera, for example. At night you have the clear sky above you with the beautiful Milky Way and millions of stars shining bright. During the day you can enjoy the warm sun shining down on you while you’re looking down on the clouds, the mountain ranges and the crater of the volcano. There is nothing comparable to that! The island provides many options for experiencing the gorgeous green nature. Visit some of the natural parks and become one with nature. Whether you like to hike or just want to be away from all the stress, you will find peace and complete silence. 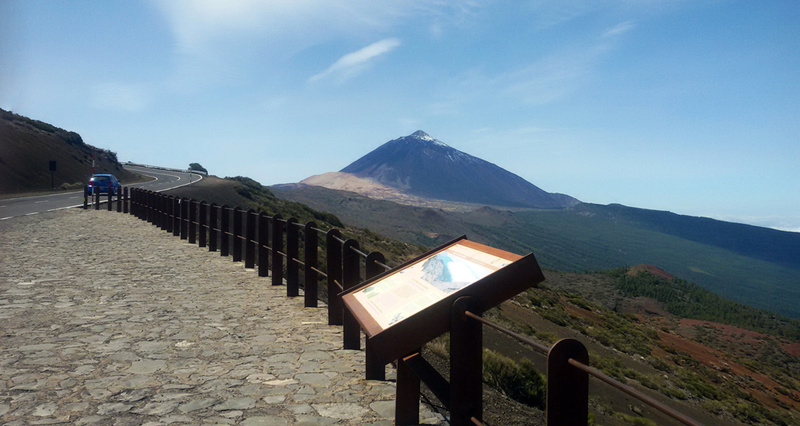 Some examples for such parks are La Rambla de Castro, Montaña de los Frailes or, of course, the Teide National Park. 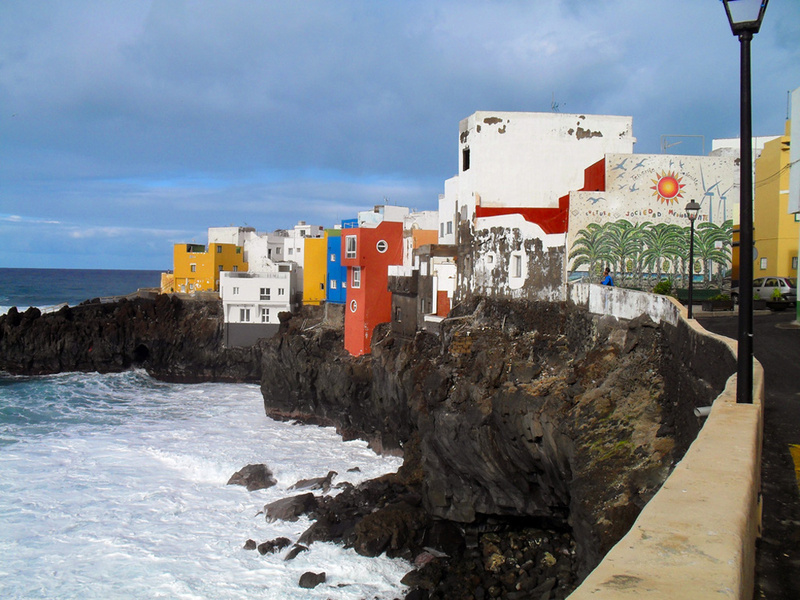 La Rambla de Castro is situated in the north of Tenerife near the village of El Toscal. There’s a wonderful park along the coast where you can hike or just go for a walk to relax. The Montaña de los Frailes is also located in the North, right next to La Montañeta. It’s a small mountain where you can walk around on some paths and enjoy being in the green nature. And then there is the best known national park in Tenerife, the Teide National Park (Parque Nacional de las Cañadas del Teide). This one looks a little bit different compared to the other parks that are green and flowering. Here you’ll find a volcanic landscape where you have many hills and mountains to climb or to hike up. In any case it’s a picturesque view from there – it doesn’t matter where exactly you are at the park. Another beautiful national park is in the Anaga mountains. Many green mountains have plenty of hiking paths and forest roads take you through the wonderful, pure nature in the north. 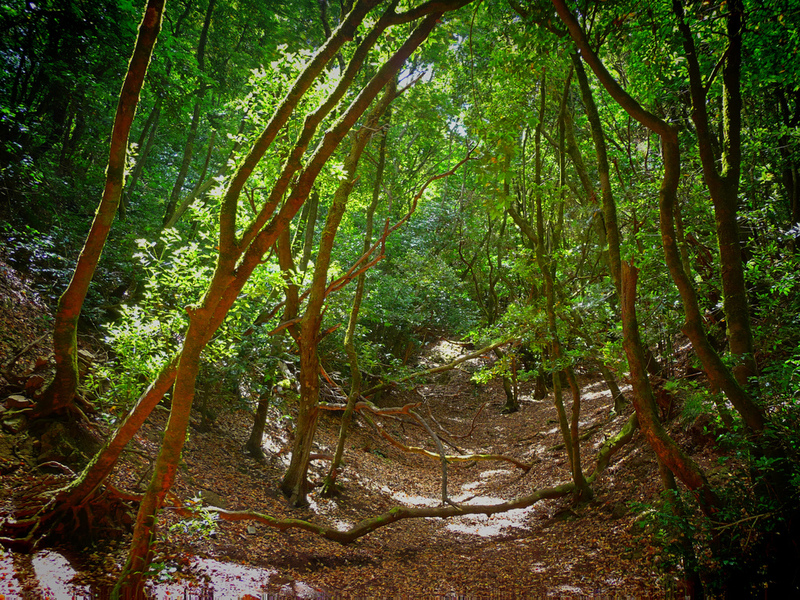 All in all, Tenerife is a wonderful destination if you are a fan of green landscapes and love to be in pure nature. The above-mentioned national parks and forests are only a few examples for environments where you could enjoy a perfect hiking trip. 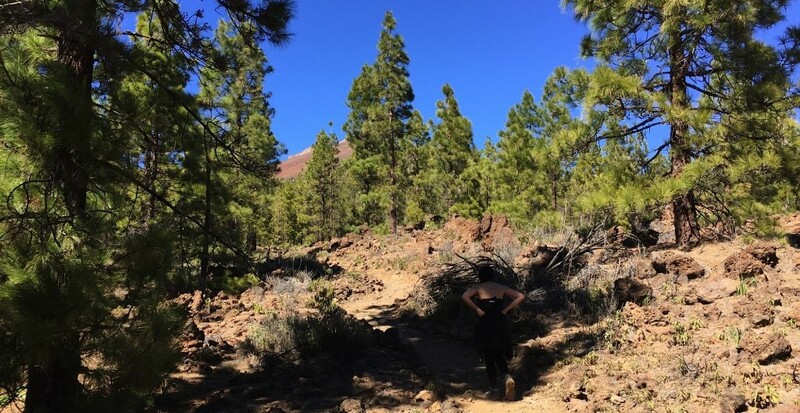 If you are a hiker who’s looking for a challenge, the famous Teide hike is the essential route when you visit Tenerife. Expect volcanic landscapes, cold wind and beautiful views! You’ll be above the clouds so the sun shines just for you and it will be even more picturesque. Book your stay at Altavista and experience the Teide adventure. Don’t miss getting to the top of Spain’s highest mountain. Another very popular route is in the Masca Valley. It’s not the easiest path but it’s definitely worth it! A tour guide is not necessary as the route is very clear. There are some difficult parts to climb so be sure to have some solid boots. 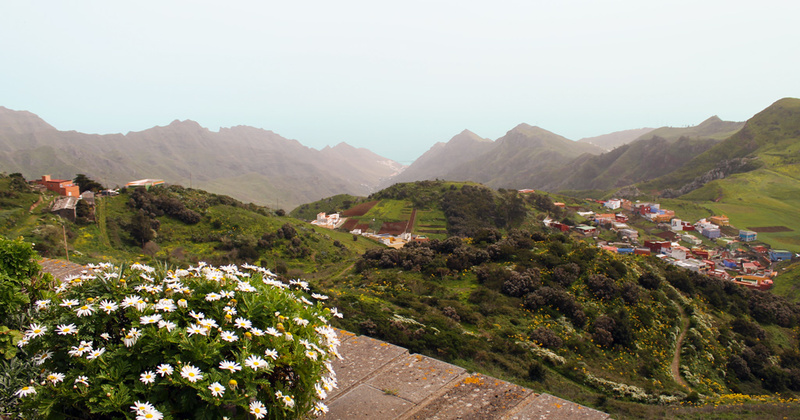 The Masca Valley is located in another fantastic natural area – the Teno Mountains. This one is in the northwest of the island. As a friend of nature you have to do an excursion through the mountains (e.g. from Santiago del Teide to Buenavista del Norte)! 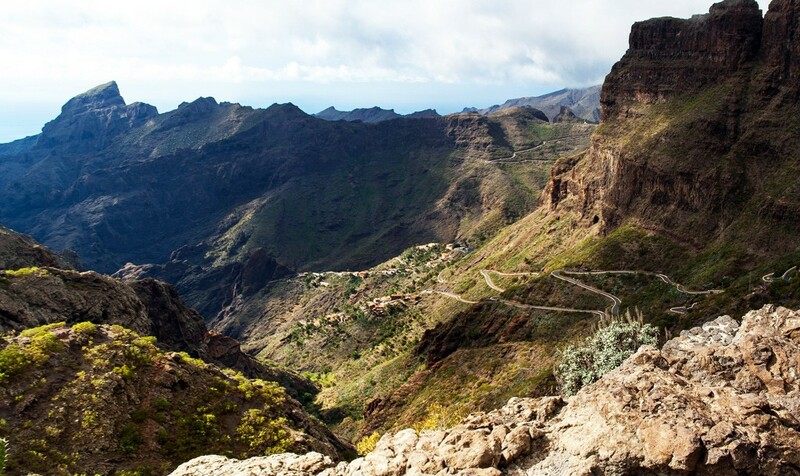 Take a rental car to explore the natural area or simply look for a bus tour into the Teno Mountains (Hint: The big coaches only drive to Masca because they can’t drive the narrow serpentine roads). 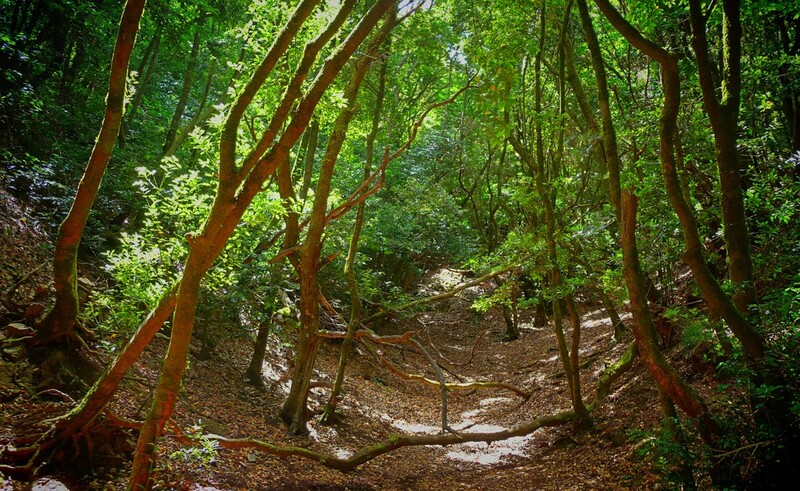 Besides the Masca Valley there are several other beautiful hiking paths to discover there. For those who plan to rest in a nice place nearby Teno after an extensive hike e.g. Garachico is a very good destination! Also Los Gigantes and Los Silos aren’t far away and definitely worth a visit. If you do not enjoy hiking big tracks, take an easy road to walk. 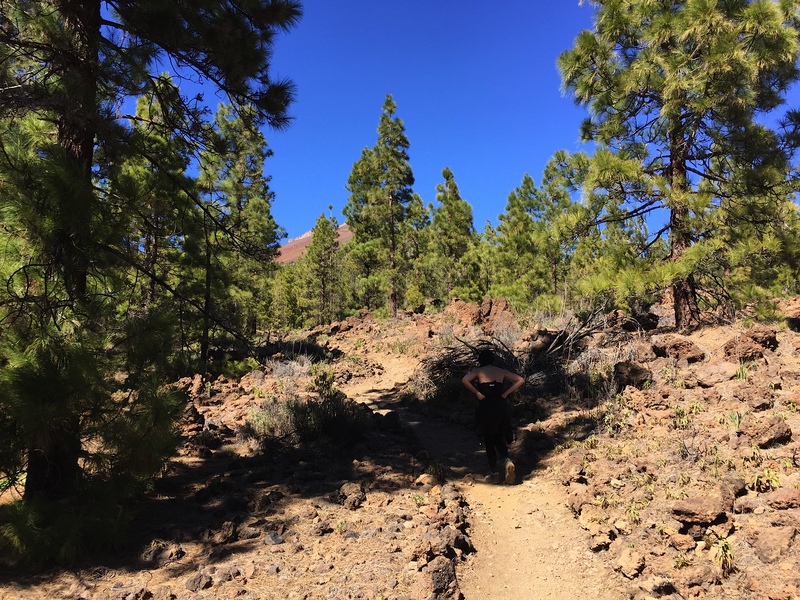 Montaña Blanca is located in the Teide National Park, and while it’s one of the easiest walks in the National Parks, it also provides you an astonishing view at the end. For the perfectly planned hiking tour you should get yourself the “Hiking in Tenerife” app. In this small app you’ll find all hiking paths with length, duration, difficulty and other useful information about each track. With this app you can start to explore the island on your own right away. The island offers dense forests, barren volcanic landscapes and gigantic cliffs! Everything you ever dreamt of as a fan of diverse nature. Yes, you read right: black beaches! The sand is indeed black here. They do not sound very pretty at first but once you fall in love with them, they become the most beautiful and mystical beaches! The black volcanic sand may look unusual but it’s pretty nice actually. Because of the dark sand, the beach gets warm and stays warm for much longer than the normal white ones. The black sand combined with some palm trees and the refreshing sea are the perfect combination for a sunny day at the beach! If you’re still not impressed by the black beaches, don’t worry. Tenerife is prepared! The island doesn’t only have volcanic sand beaches. There are some beaches that were created artificially with tons of Saharan sand, so you can enjoy your day at a white sand beach. One of the most popular white beaches is Playa Las Teresitas in Santa Cruz. The conditions are perfect for swimming because the water is pretty calm there even though the wind can get strong. Another very popular big beach is Playa Las Américas in the south of Tenerife. That’s where you’ll find many young tourists, surfers and sunny weather! If you are in the north and it’s too cloudy or too fresh for you, just take a ride to the south. It’s always worth a sunny visit! Playa Las Vistas is also a wonderful white sand beach in the south – between Playa de las Américas and Los Cristianos – where you can enjoy the perfect vacation feeling. 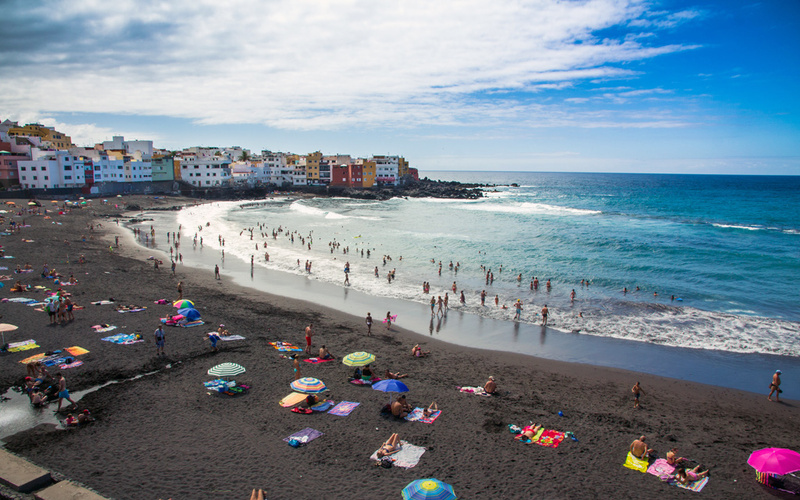 But remember, visiting Tenerife without ever seeing the black beaches is not an option! Are you getting bored of all the beaches you’ve seen? Is the sand no longer attractive to you? Are you looking for a special alternative to going swimming in the sea? 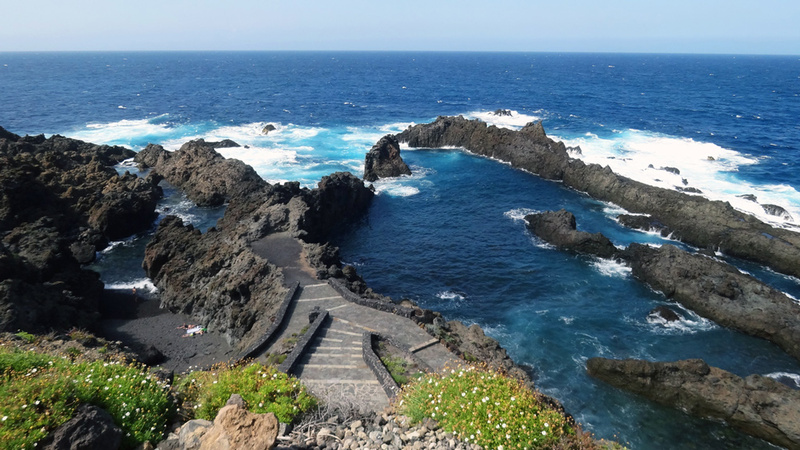 Then the natural pools of Tenerife are perfect for you! Charcos are natural swimming pools filled with seawater. The word “Charco” means “puddle” or “pool” in English and is used for “natural swimming pool” in Spanish. For anyone who doesn’t know what I’m talking about, here’s an example. The pools occur in volcanic rocks. They are filled with water from the ocean, usually because of the waves bringing the water in. This makes it possible to swim in the sea in relatively calm water between the volcanic rocks – the experience of a lifetime. Stop by and enjoy swimming in the fresh calm sea while you’re having a look at the Teide or the rest of the landscape. Charcos give you the opportunity to be even closer to nature than at a typical tourist beach. Another reason for you to visit this wonderful island is if you love to experience new landscapes! 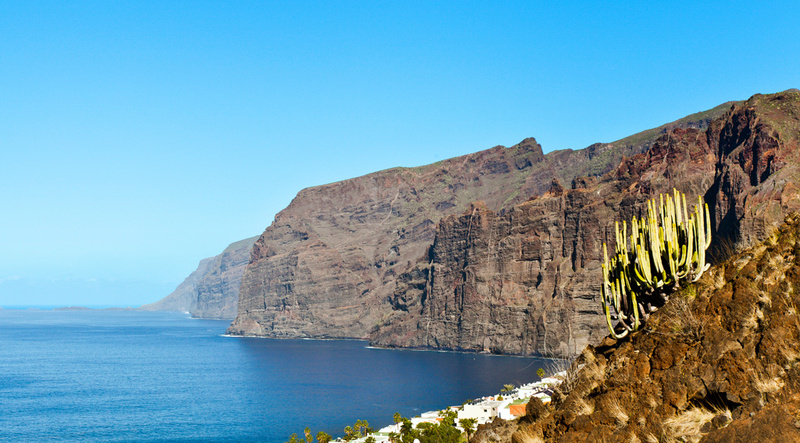 A volcanic island like Tenerife is simply perfect for getting to know new natural sceneries. The island has a well-developed infrastructure that makes it possible to get around Tenerife very easily by bus. Santa Cruz is the interface of the north and the south and you only need about half an hour to get there by car whether you’re in the north or in the south. There is just one highway but it’s enough for an island this size. You’ll get from the north to the south in about an hour. The bus connection to each smaller city is also very well-developed that you don’t have to be afraid of having trouble with getting somewhere. If there is no other way, a taxi is not that expensive in Tenerife, especially when you’re in a small group. With a so-called “Bono Via Card” you can use the bus lines of Titsa and the tram for even cheaper prices. How it works: First you buy the discount card for either 15€ or 25€. This will be the credit that you have on the card. Then every time you enter the bus or the tram you put your Bono card in a machine that deducts the price of the ride. You can do that until your credit is empty, then you have to get another one. You can save a lot of money with that option! And it’s simple as that. 17. Get the Party Started! Being on an island like Tenerife has many advantages and positive aspects. The fresh salty air from the sea, the beautiful landscapes and of course: the nightlife! 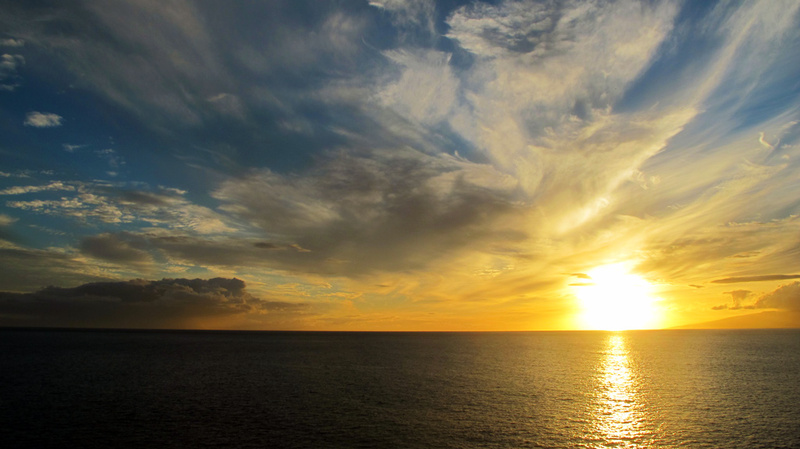 Tenerife isn’t just a place to calmly be in the nature, enjoying the views and weather. No, the night is the main time for many inhabitants and tourists, especially the younger ones! Where? There are bars almost everywhere on the island. You just have to follow the party people in the evening. The main area where you can celebrate in many different locations is, of course, the South (Playa de las Americás, Costa Adeje, Los Cristianos). Most of the younger visitors of Tenerife go to there for the nightlife. But there are also good locations in the north as well, in Santa Cruz or La Laguna. These two cities are the main party areas of the north. 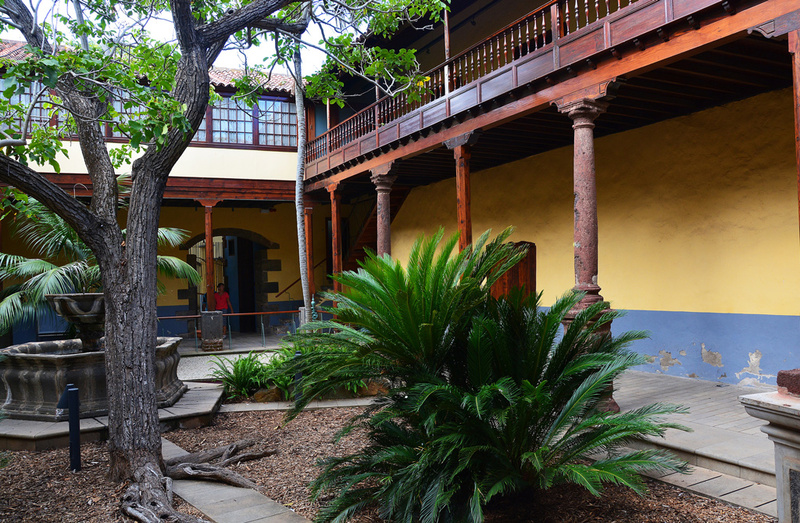 In La Laguna there is a university, which means that there are many students and fun to be had at the weekends! Santa Cruz, as the capital of Tenerife, of course, is pretty good for celebrating, too! You’ll find many bars with different kinds of music like salsa, house, electro, jazz and blues. The diversity of the music styles and bars suites the island itself with all its different sides. But remember that you are in Spain – here, the people never go out before 12 a.m. and don’t go home before 6 a.m.
18. Get Ready for the BIG Festivals and Parties! 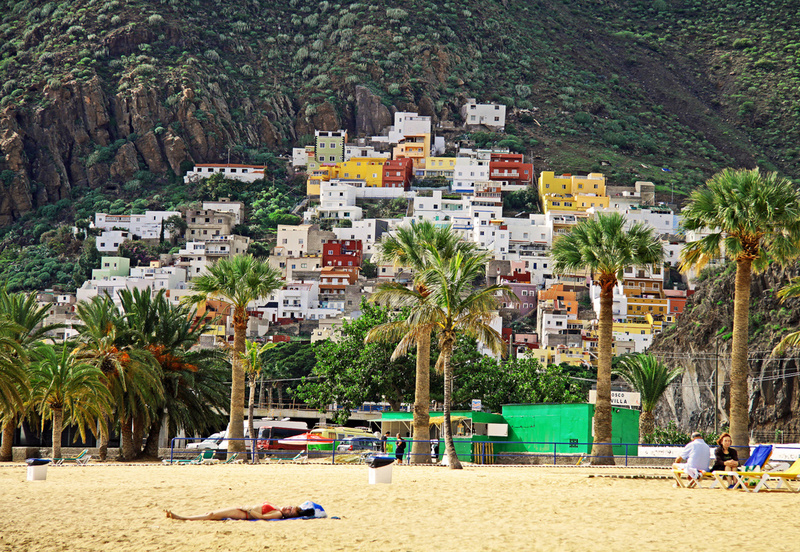 Don’t think of Tenerife as a completely quiet place just to relax and lay on the beach. You wouldn’t dream of the crazy festivals going on! First of all you have to decide whether you really like to celebrate or if you are a more quiet person. If you are a partier then there are some festivals you shouldn’t miss when you are in Tenerife! This one is a pretty big electro festival that takes place in the first part of the Siam Park (TripAdvisor: Travellers’ Choice™ 2014 Winner). Every year “Farra World” organizes electro music festivals in the Siam Park (“Summer Jam”, “I love Music”, “Farra World” and “Ritmos del Mundo”). The location is awesome and people go crazy – you should join them! Some world famous DJs perform at every festival! Absolutely a must if you like electro music and want to have a great time with many other people! The tickets cost around 50€ – 70€. Invest it and you’ll see it is worth it! That one’s an electro party as well. Celebrate with deep house, psytrance and goa-techno DJ’s. It’s calmer and more for a relaxed dance night. 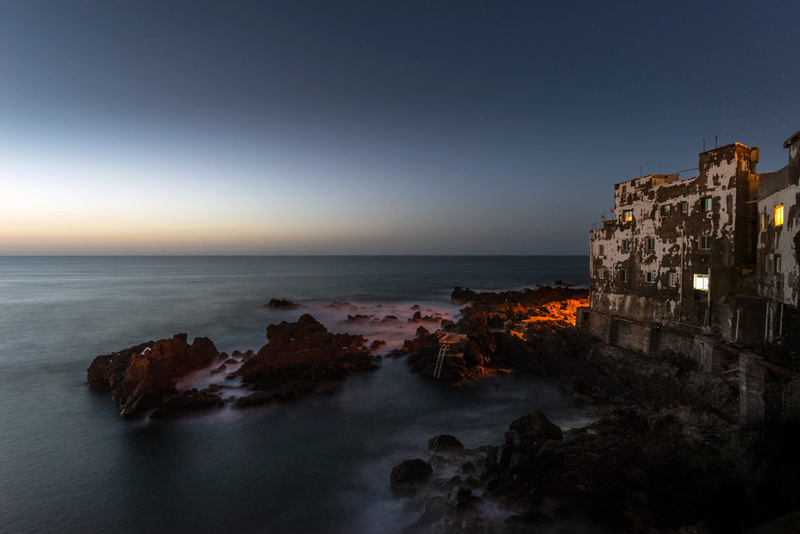 The Full Moon Party is located in El Topo near to El Médano, in the south of Tenerife. Join the party community. Entrance is free! Have you ever celebrated on a boat? Here you have the chance to enjoy sun, fun, music and champagne showers on a boat! 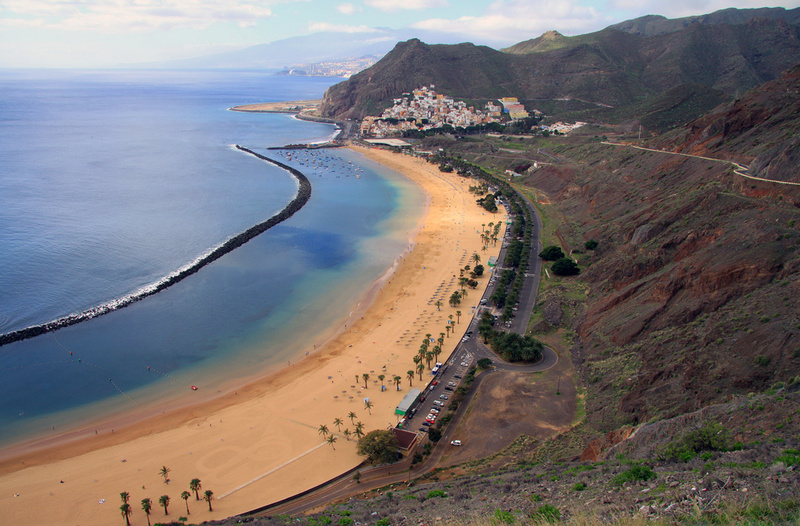 The harbor where the party begins is called Puerto Colón in Costa Adeje. For only 40€ you get the full program with free alcohol, music and many party people on a boat! The trips start at 5 p.m. every Sunday. Have a great time on the Party Catamaran! 19. Crime? What is That? You never have to be afraid here. Tenerife is a nice place with nice people! The crime rate here is very low, especially compared to South Africa, Brazil and some Asian countries. If you would like to stay in a place where everything is clean and the people are friendly, Tenerife should be your number one destination! The people are very tolerant with respect to homosexuals, foreigners and persons of other skin colors. Furthermore the island is pretty clean! The trash cans in the cities are emptied frequently. 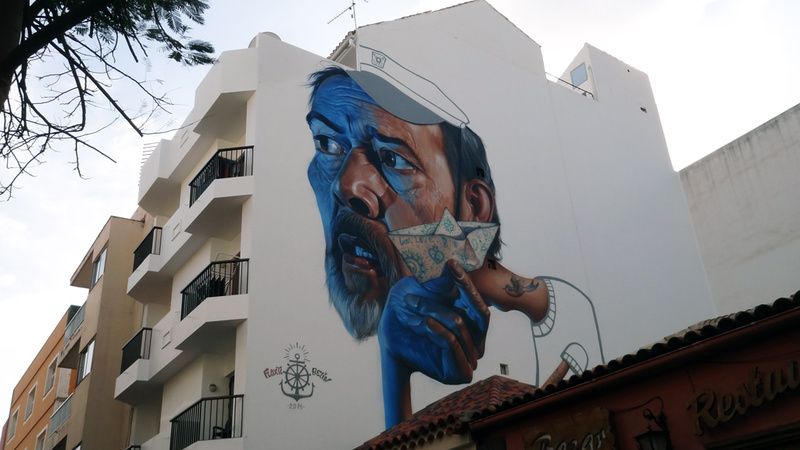 To sum up, in Tenerife nobody has to be afraid of crime and nobody has to worry about the cities being filled with garbage. Even right after the huge carnival every single city where it is celebrated shines brightly after the cleaning service cleans all the streets! Visit the island and see for yourself! When you hear the word “culture”, do you always think of at least some boring aspects? Not in Tenerife! Here the word culture means to sharing food and drink, talking to one another, street art and having fun. In addition to that there are plenty of reasons for the inhabitants of the island to celebrate! The people love to celebrate! Either it’s Los Reyes Magos, Carnaval (the second biggest carnival in the world right after Brazil’s) or just some fiestas with big fireworks in between the big celebrations. All of them are already fixed components of the island. The list of cultural celebrations is far longer. For example, Easter is also very important and is celebrated extensively in San Cristobal de la Laguna. With all those parties and especially the nice people surrounding you it never gets boring in Tenerife! The Siam Park is a water park. But it’s not just a normal water park. It is probably the best water park in the world! At least TripAdvisor users claimed it to be the best one. The park is located in the south of Tenerife, in Adeje. It’s huge and offers many different areas where you can lay at an artificial beach, go enjoy some waves in the wave pool or get your adrenaline pumping at some of the water slides! Siam Park is very clean and provides everything you need like bathrooms, lockers and restaurants. You won’t be disappointed by the facilities! 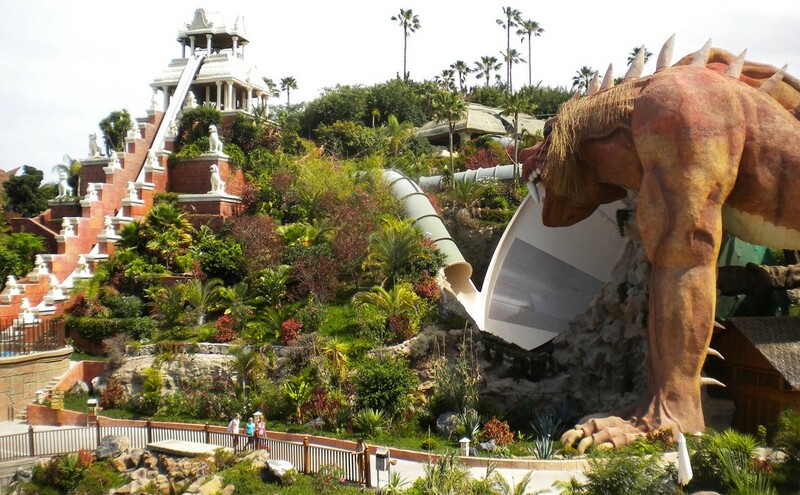 If you want to check out the attractions and find some background information, get yourself the Siam Park App. There you can find a map of the park and you’re even able to buy tickets. With the highest artificial wave in the world it is recommended to visit the park for surfing as well! This park belongs to the same group as the Siam Park and you will find the same standards there. It’s clean, well structured, huge and you can have an awesome time there! The Loro Park is in the north of the island in Puerto de la Cruz. TripAdvisor users also set their sights on that one. It was selected as the third best animal park in the world, and number one in Europe! 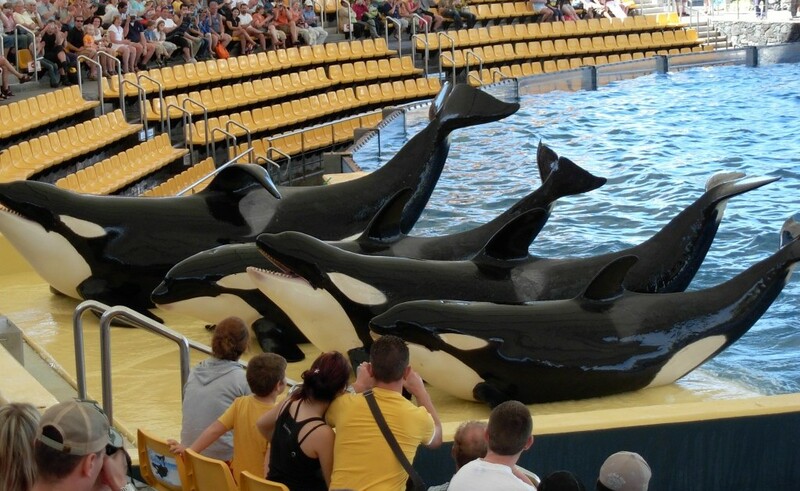 You will find the only orca show in all of Europe there. 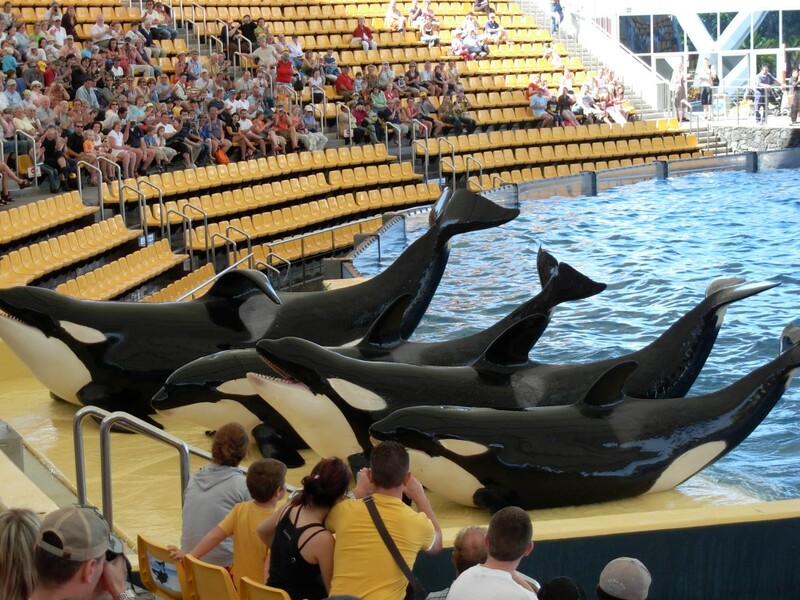 Have you ever wanted to sit in the splash zone on the audience platform? There’s also an app for this park to check out every animal and every attraction. Pack your things and enjoy a wonderful day in the best zoo in Europe with many shows, restaurants and a huge variety of animals. It’s known that people from Tenerife are very friendly to each other and to visitors from other countries, making a really pleasant atmosphere on the whole island. From young couples to teenagers to seniors to students, there is no stereotypical person of Tenerife because every kind of person lives here. And that’s what makes the Canarian island so special: the diversity. The diversity includes not only the people but also of the nature, the weather and even the food. 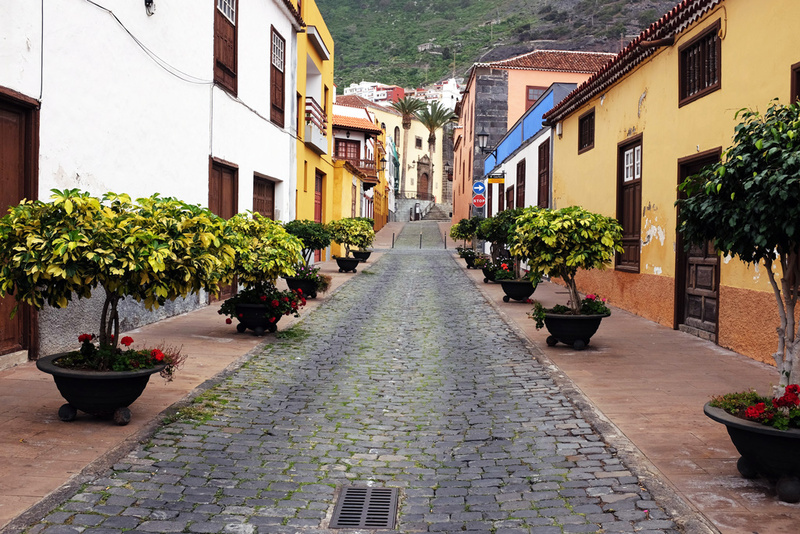 You arrive in Tenerife and immediately see and feel the charm of the old towns or the sidewalks along the coasts. Walk through the small café alleys between the houses, look at the paintings on the walls, listen to the rhythmical music that can be heard in almost every café or bar. 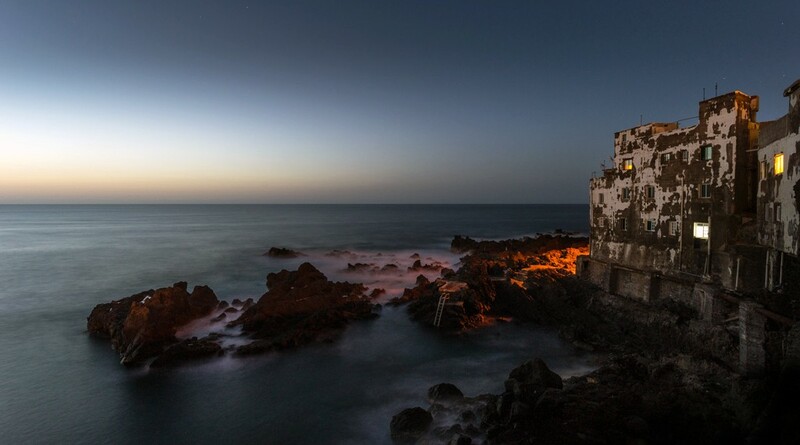 Let yourself be enchanted by all these typical characteristics of Tenerife. I’m sure you will feel like it’s your home here. So how does all of this sound to you? Good enough for having a great time I guess! If you’re interested in exploring Tenerife and getting some work done at the same time, contact us regarding to the Co-Working Space and accommodation. We will help you if you have questions and we guarantee you will have an awesome time on this beautiful island! See you soon in Tenerife!